The next-generation of LG camera phone, not an iPhone-wannabe. The LG Viewty Smart (CG900) carries on the heritage of the first LG Viewty (KU990), which sold over 6.5 million units. Not too shabby. Especially when you consider that Viewty Mark 1 found itself fighting an almost impossible popularity battle against the first iPhone. Credit then to LG, who didn't pitch the original Viewty as a rival to Apple's revolutionary mobile. 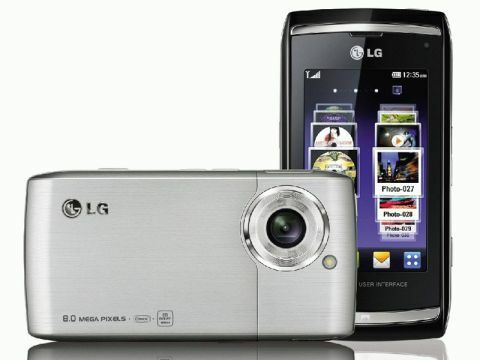 Instead, LG focused on what the Viewty did best – taking great photos using its 5 Megapixel digital camera. Two years on and the LG Viewty Smart updates the specification. This time around, there's a stunning 8 Megapixel camera, WVGA (800x480 pixel) touch screen and the S-class interface that we first glimpsed on the LG Arena. The Viewty Smart also sidesteps a brawl with the iPhone 3GS. The new handset certainly has some iPhone-beating features – the 8MP camera, for starters, the higher resolution screen, plus haptic feedback, an FM radio and expandable storage. Nevertheless, LG is pitching the Viewty Smart as a high-calibre camera phone. "Take smarter pictures" is the slogan that's splashed across its website. Available on Vodafone, O2 and Orange in the UK, the LG Viewty Smart is a bit of a looker. With a black and silver livery, the design is dominated by the 3-inch touchscreen. A long, bronzed 'home' button rounds off the front face. Measuring 18.9 x 56.1 x 12.4mm, the LG Viewty Smart is slightly more compact than the iPhone, but Apple's handset does have a 3.5-inch display, compared to the new Viewty's 3-inch LCD. It's only a smidgeon fatter too (0.1mm in technical terms compared to the iPhone 3GS) and at 102g, it's a good 33g lighter. Of course, all this counts for precisely zip if the Viewty Smart doesn't have the technology to match. The mobile phone market is fierce. VOLUME: The volume controls on the edge of the LG Viewty Smart also control the 4x digital zoom. Flip the LG Viewty Smart sideways and, on its right-hand edge, you'll find a camera shutter button and volume controls. The volume buttons also control the digital zoom when the phone is being used as a camera. Disappointingly, there's a proprietary slot for power/USB/headphone connections. So you can only use the supplied headphones and you can only use the supplied USB cable. Much like the original iPhone, in fact. EXPANSION: Equipped with only 1.5GB of internal storage, you'll need a microSD card to boost the storage capacity. On the other side, the left-hand edge as you look at it, there's a microSD slot (supporting memory cards up to 32GB) and a 'multi-tasking' button, which enables you to view all of the currently active applications. The power button (and phone lock) can be found on the top edge.